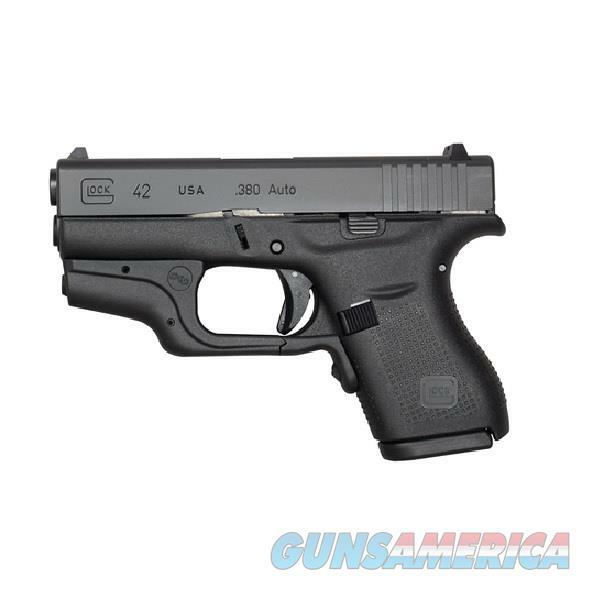 The new Glock 42 Crimson Trace Laser 380acp is a slimline subcompact pistol engineered to Glocks strict Perfection promise. It is able to withstand the rigors of routine training, and every day concealed carry. Made in the USA, the 42 is the smallest pistol Glock has ever introduced, making it ideal for pocket carry and shooters with smaller hands. Years of requests across market groups for a super-concealable, reliable single-stack .380acp Glock pistol prompted extensive research and development to bring the Glock customer the Glock 42. The added red Crimson Trace Laser and Holster makes this pistol an even better EDC pistol.